I went to xcam but I couldn't locate the avatarcam, please what can I do? Hello Guys. 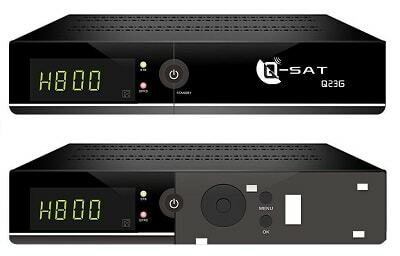 Its Been Long Since We Heaed About Qsat-Dstv Service, Is There Any Luck That We Can Still Hold On A Little Longer, Or The Qsat Technicians Gave Up. Pls,how to do it if server is expired.then to open server again. Do you know that you can watch DStv channels for free with the help of the QSAT DECODER which enables you to watch premium DSTV channels for now cost? With the following steps, you can activate all Qsat decoder and watch premium channels at a very cheap rate. You can watch premium channels with N200 airtime for 2weeks. I advise you don't load more than N500 airtime, it's less expensive if you do it like that. Follow the steps and enjoy. Go to Menu, Click Antenna, it will prompt for a password, input 0000, On Satellite, Choose Eutelsat 36A, 36. LNB Type should be Ku Band. Press the blue button to start scanning. The scan type should be Blind Scan. Step2: Configure your Internet Settings. This can be done by going through Menu »Settings »Ethernet Config. Under Link type »choose GPRS. On Config, Area is Nigeria. Choose the network that is in the Receiver under the Operator i.e the network SIM you are using »Check Auto Link and Link the network. Step3: Reactivate your Avatarcam code. To do this go to Menu »Settings »Xcam setup »AvatarCAmHD » Press the red button »Press the green button. If it shows your expiry date, you have successfully reactivated your code. After doing the above three task, restart your decoder. Wait until it shows Network Connection Success. Wait for 2 minutes, the premium channels will start showing. Make sure you have data allowance on your sim card or you have credit like N50 in it. Remember to share this post with your friend on Facebook and Twitter.